Texas songwriting icon Townes Van Zandt once famously said, "There are only two kinds of music: the blues and 'Zip-a-Dee-Doo-Dah.'" 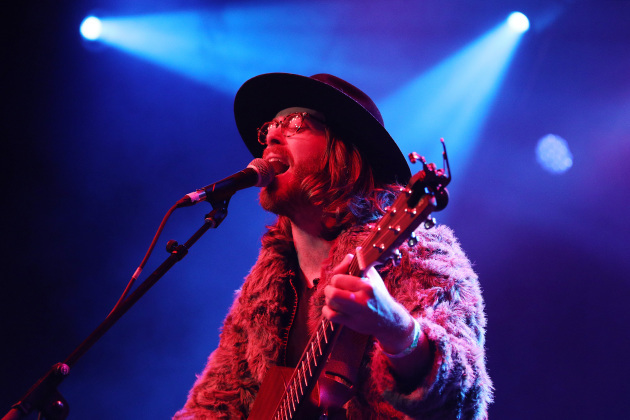 Minnesota's blue-noted tunesmith Jeremy Messersmith has gone full-bore "Zip-a-Dee-Doo-Dah" on us, and he's done so in a predictably clever way. The Minneapolis indie-folk star surprised fans with a new collection of songs on his website today, issued under the title "11 Obscenely Optimistic Songs for Ukelele" and -- for the time being -- issued only as a songbook and not recordings, a la Beck's well-received 2012 sheet-music project "Song Reader." Messersmith hopes his fellow musicians and musically inclined fans will record/video/upload their own versions of his new songs, though doing so would probably require them to forget everything bad that's going on in the world. Which is precisely the point. With song titles including "Everybody Gets a Kitten," "I'm a Snowflake, Baby," "Everything Is Magical" and the oh-so-naively caring "We All Do Better When We All Do Better," the new collection is all about escapism and fluffy feel-goodisms. Messersmith wrote the songs during a winter retreat to a cabin in Lanesboro, where he intentionally holed himself up from the news of the day. The results felt so good, he then recorded the songs in a one-day session in late February, using a ukulele for the simplicity and general lightheartedness associated with the instrument. "It was just a natural, perhaps crazy reaction to all the crazy stuff that's been going on," the singer explained in an interview a few weeks ago. He made it clear then -- and reiterates on his website -- that this project is not a joke. "I'm actually deadly serious about this," he wrote on his site, where there's a link to be emailed the songs. "No irony to be found here." Messersmith is so serious, he intends to perform "pop-up concerts" in parks and other public spaces around the country starting April 17. He's inviting people to bring their own ukuleles and good cheer to each of the "micro-tour" dates, also posted on his site, JeremyMessersmith.com. Messersmith's own recordings of the "11 Obscenely Optimistic" songs -- which he plans to release digitally in a week or so -- are not actually his next "proper" album. That one will be titled "Late Stage Capitalism" and will formally be released by Glassnote Records in May. He and his band spent all of last year working on that record, which will feature some of the songs they played at the Current's birthday party in January, including "Purple Heart" and "Once They Get to Know Us" -- you know, the regular brand of sad songs Messersmith is better known for.